Anew sign with a lovely retro style. 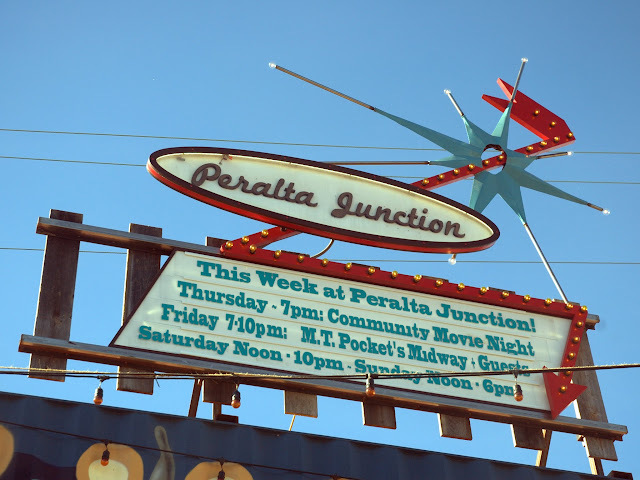 Alas, it's probably just temporary, since it's for the Peralta Junction popup market and carnival in West Oakland. Note that they're closed tomorrow (Saturday), and open Sunday, weather permitting.